Japan's 12 Regional limited Drinks: Do you brave enough to challenge all of these drinks? 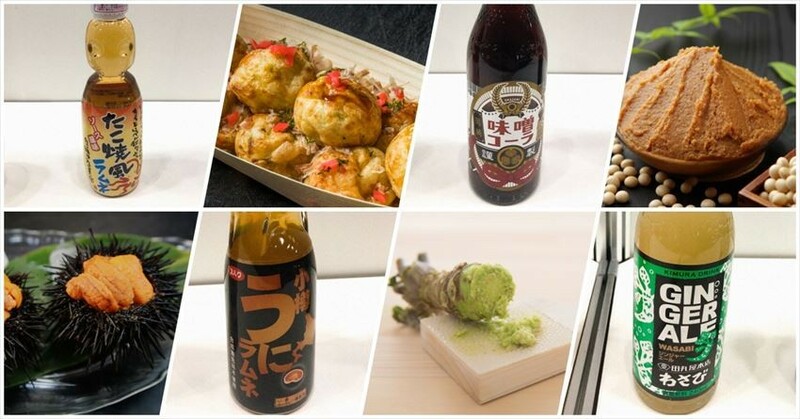 "FOODEX JAPAN" is an exhibition of Japanese food and beverage industry. Among various products, FUN! 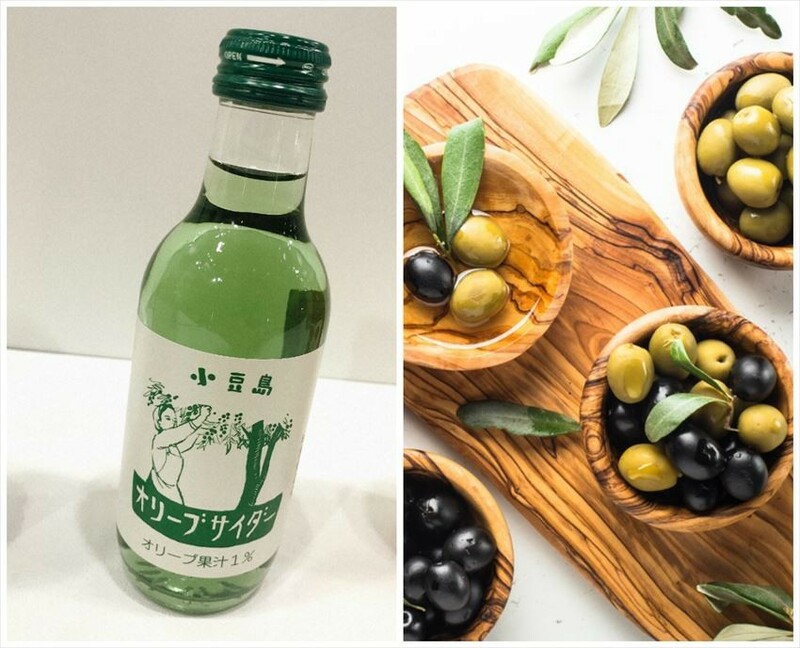 JAPAN team member has focused the attention on the unusual local drinks that were selected for "Local Food Grand Prix". Let's check out all of these products in this article! 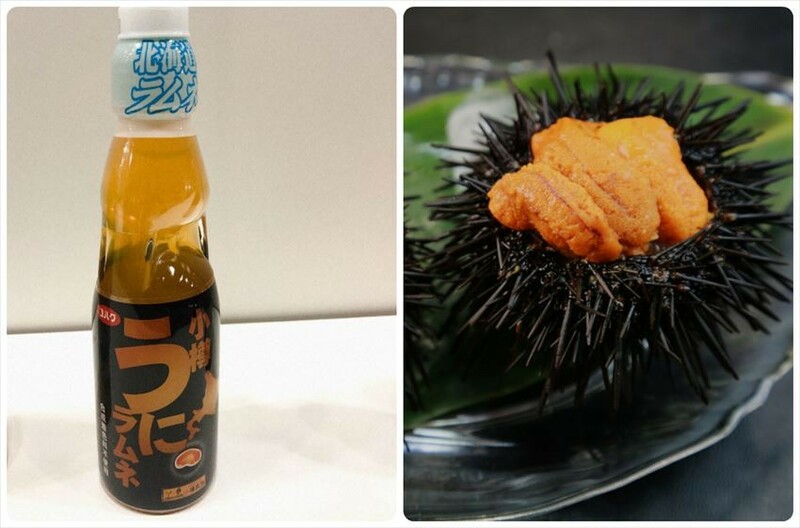 It is a Ramune(a kind of Japanese soft drink) which imaged the popular seafood, "Uni"(sea urchin) in Otaru. Even the color also made with Uni as its motif. When I try myself, the sweet taste of the drink is like Ramune, however, it has an extra sour taste which is a little strange for me. At first glance, it doesn’t look like cider because of the color also similar to a normal soy sauce. 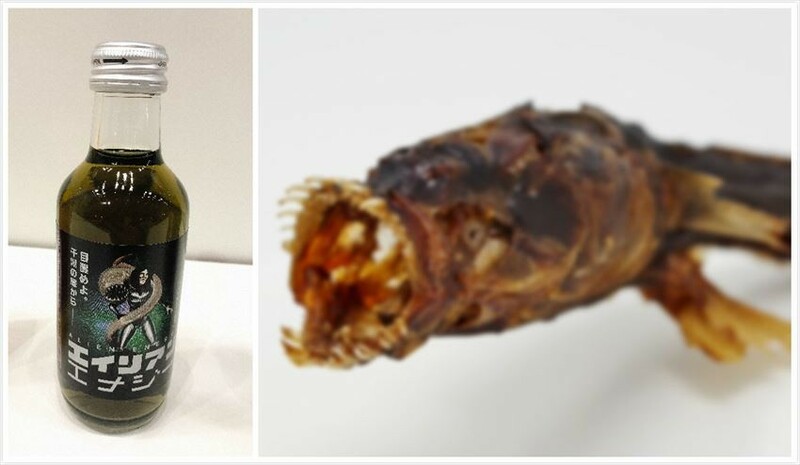 The juice is made with the base of fish sauce that is processed from the head and internal organs of Mehikari fish from Gamagori city, Aichi Prefecture. 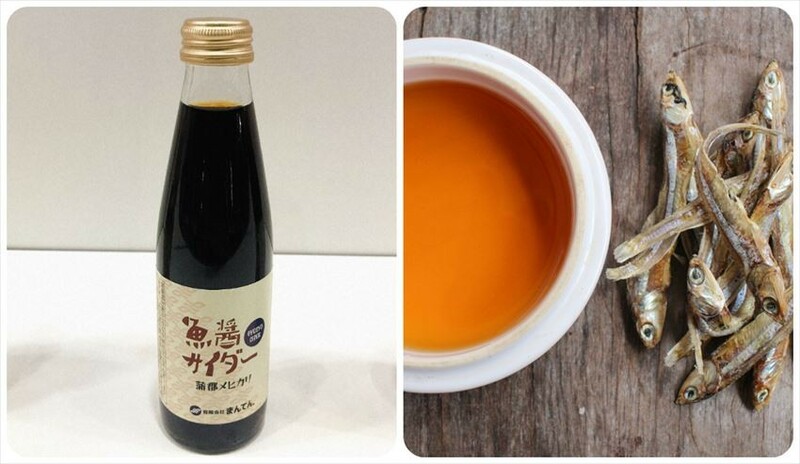 The drinks made with miso of old-established store. It is the first miso cola in Japan. You can feel the thick taste of miso in the cola. The original wasabi pieces are used to produce this drink. 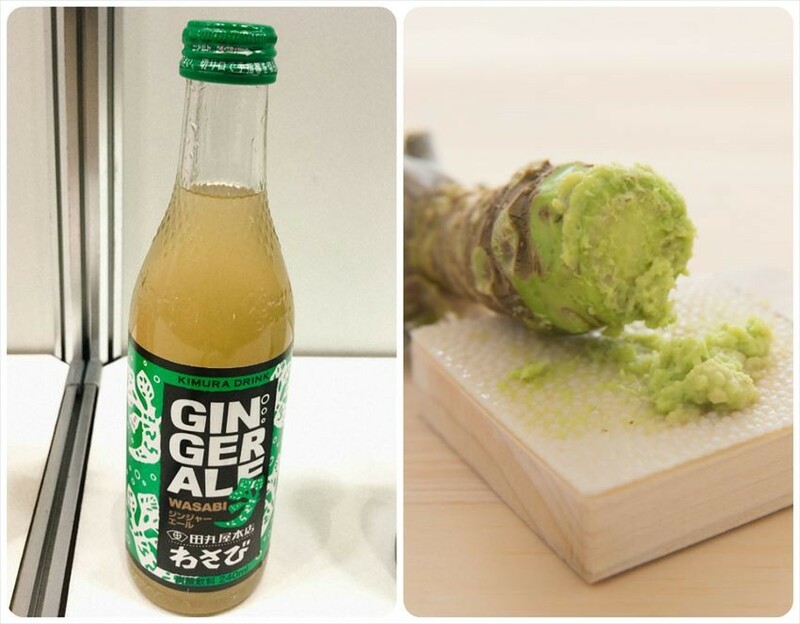 It spiciness of ginger ale and the wasabi produces the hard taste which it will stimulate the drinker. 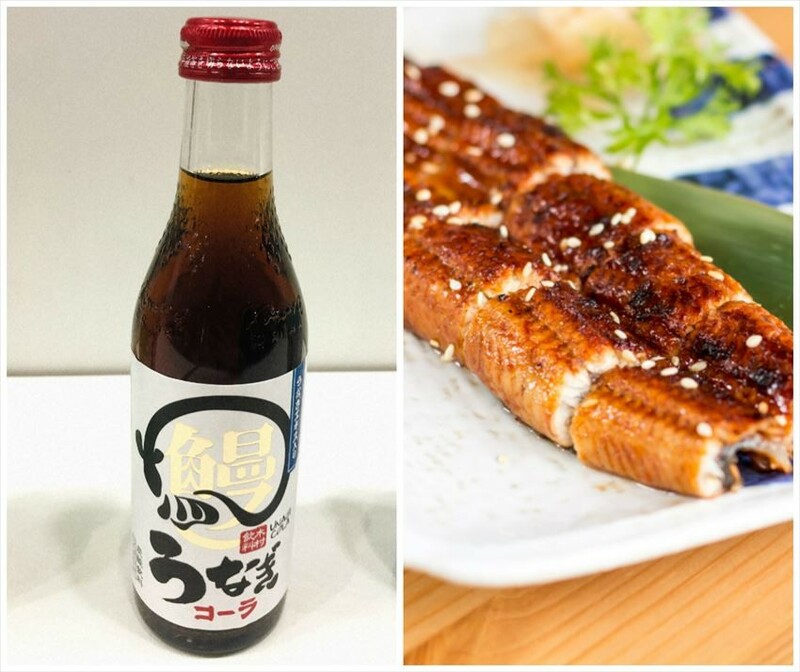 A carbonated beverage in which eel and cola are combined. The drink contains eel extract. 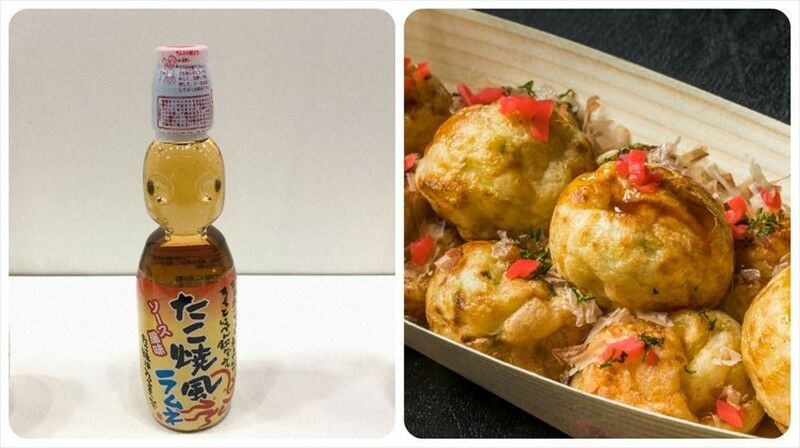 It is a ramune that imaged the motif of Osaka's representative soul food, "Takoyaki". A spice which brings the taste of red ginger in the aroma of takoyaki sauce is blended in the juice. 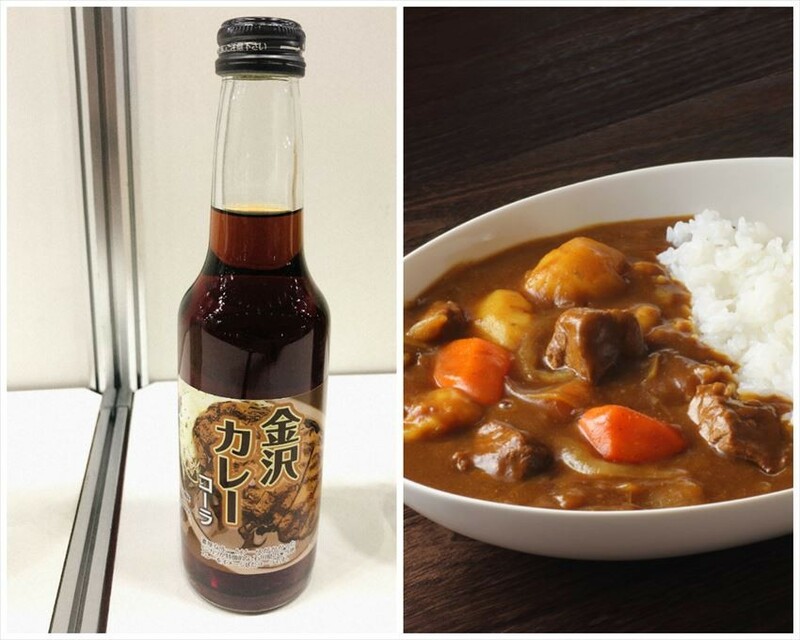 This cola is made by imaging the local gourmet, "Kanazawa curry" in Ishikawa Prefecture. It is a new type of carbonated beverage with curry sauce flavor. 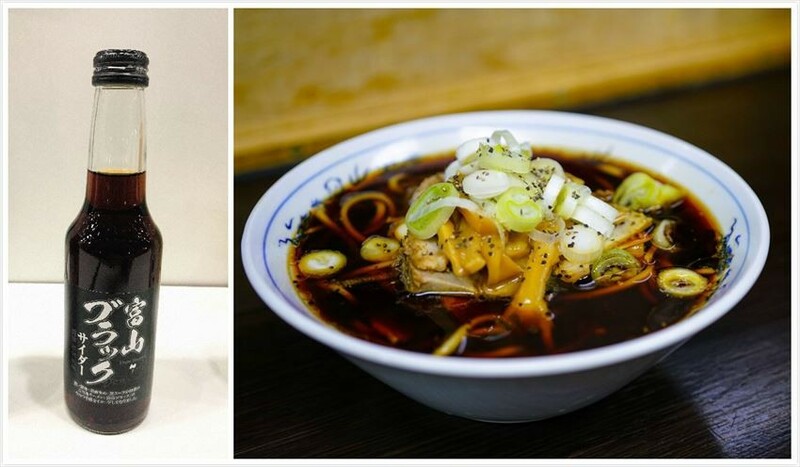 It is a cider that was created based on the image of the addictive local ramen, "Toyama Black" in Toyama Prefecture. 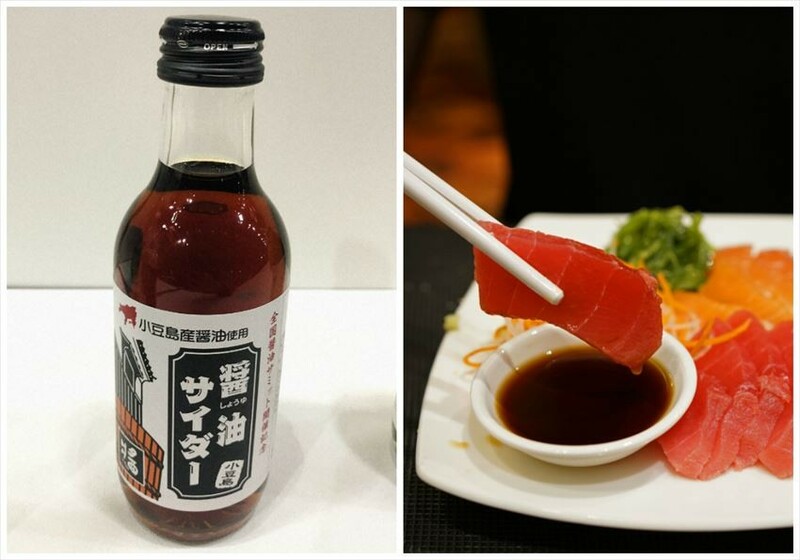 It is characterized by the spicy taste of soy sauce and pepper. The cider has the unique taste of cider's sweetness and the freshness of carbonic acid where both of the taste match each other exquisitely. The cider made from olive juice has a distinctive flavor of olive and has a fresh olive-like aroma which similar to a green apple. The cider made by using soy sauce from Shodoshima which has a history of 400 years. 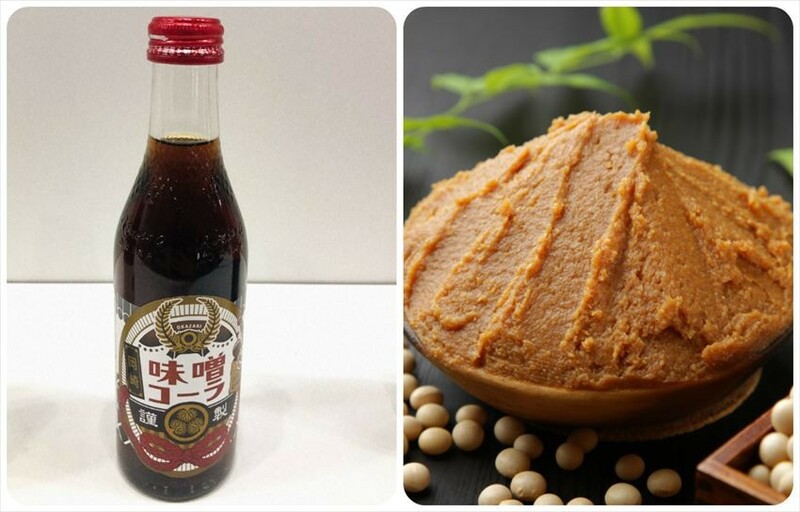 It has once become the hot topic because it has the taste which is unimaginable, and you will be able to enjoy the taste of soy sauce at the same time you drink this cider. “Warasbo” (Odontamblyopus lacepedii) is a fish that looks like an alien which live in the Ariake Sea. This is a new energy supplementary drink that contains arginine (a source of energy), and GABA that regulates mental balance. It is a cider which made of rice in Kagoshima. 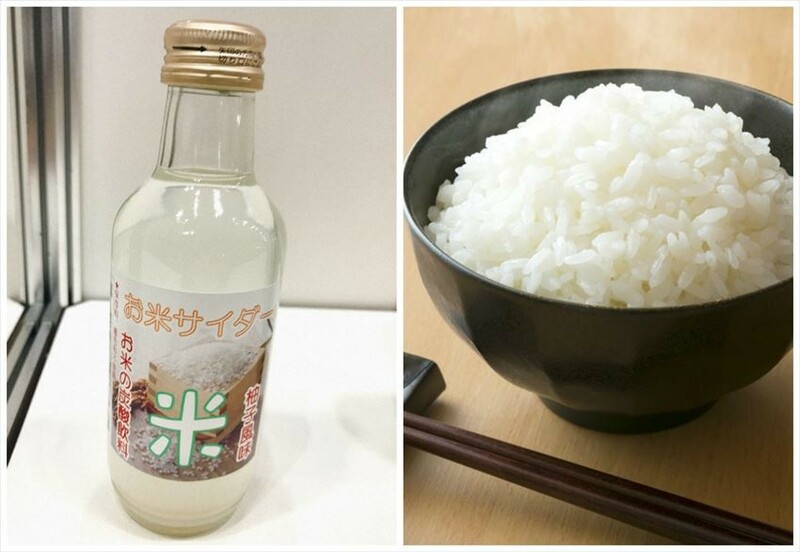 All rice brands of Japan can be processed into a cider. Do you want to try to make a cider with your own rice? After reading the above article, have anyone of you would like to give it try? Please try the juice when you happened to visit Japan in the future, and share your opinion with us in comments coloms.